Beyond the injuries they can cause, slip and fall accidents also carry the risk of insurance liability, in both residential and commercial settings. Elderly people are particularly vulnerable to slip and fall accidents, and they can cause serious health complications. Be a good neighbour and a good business owner by taking proactive steps to reduce risk. Your friends at Mirage Landscaping are here to help you manage all your snow removal needs, reducing your risk of being liable for a slip and fall accident this winter. According to the law, you may be liable for damages if there were reasonable grounds for you to foresee a possible accident and you did not act promptly to prevent it. Slip and fall liability can affect both homeowners and commercial property owners and managers, so be smart about safety and take action to reduce risk. Be sure snow and ice are promptly removed after a snowstorm. City of Calgary bylaws require residents to clear snow from their properties and adjacent sidewalks within 24 hours of a major snowfall. Provide effective lighting so people can see their way around in the dark. This is especially important in winter, the season of early sunsets. Spread sand or salt to help people maintain traction when walking on your property. Address any pavement, sidewalk or walkway maintenance issues promptly. Business owners should always be sure to follow established safety guidelines to prevent accidents in the workplace. Keep thick mats near entrances and other high-traffic areas, so incoming people can wipe their feet. Have people remove their boots or shoes immediately after coming in your home. Assign employees to watch carefully for puddles, slush, and tracked-in snow at your place of business, and take immediate action to remedy any dangerous situations that may arise. Using plastic runners along floors to help keep walking areas dry and safe. Display clear signage that alerts people to potential hazards. Also, when walking outdoors during the winter, remember to wear proper footwear and avoid situations that look dangerous. You can read more about safe winter walking by consulting our previously published article on the topic, available here. 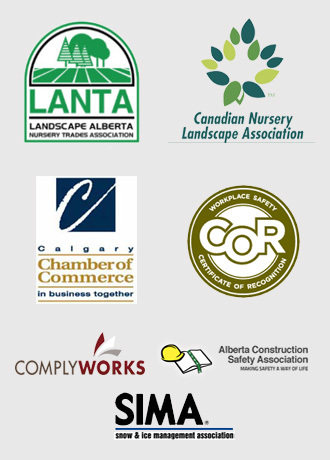 Mirage Landscaping is southeast Calgary’s most trusted provider of prompt, affordable property maintenance services. We’re proud to say that there are many great reasons to choose us as your snow removal service, and we always respond promptly and reliably after a snowfall. Best of all, our services are affordable, even to those on tight budgets. 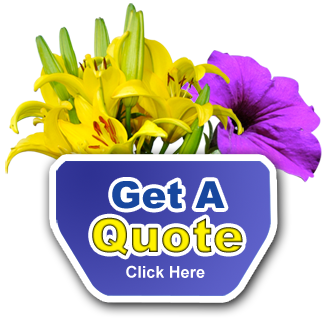 Get started today by requesting a fast, free service quote on our website.